SILS is pleased to announce the 2019 SILS Project Fair. This is the 5th annual project fair, an event designed to showcase the work of both our graduate and undergraduate students. Students will have the opportunity to present posters or interactive demos showcasing a project they have done while at SILS. 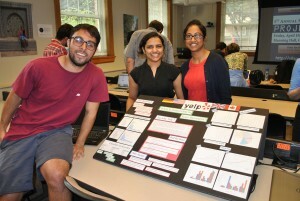 Entries to the project fair can be based on individual or team class projects, research projects, or side projects developed for any other reason. This is a great chance to show what you’ve done, receive recognition, and share ideas. There will also be some snacks and drinks provided for those attending or presenting. See you there! To participate, you must register by April 10 by completing this registration form. Read about past SILS Project Fairs, including names of award winners and photos, in the archive! Want some tips for designing your academic poster ahead of the SILS Project Fair? The LAUNC-CH Professional Development Committee is sponsoring a poster design session for SILS students at the Undergraduate Library. Whether or not you plan to participate in the project fair, come learn how to present your research with a sleek and professional poster. No need to sign up, just drop in! Click here for more information! Q: Is there a size limit on posters? How will they be displayed? A: Posters can be up to 3’x4′ in size. Posters will be placed on table tops or taped to walls. Easels will NOT be provided. Q: What should an interactive demo entry look like? A: Interactive demos should be shown to audience members using your own laptop or any other device that you provide. There is limited power in the room, but you should come with fully charged laptops as there may not be enough outlets for all participants. In addition, interactive demo teams can prepare posters that adhere to the general poster requirements (see question above about posters). Demos will take place on classroom tables or desks. Q: Who is eligible to enter the project fair? A: All SILS undergraduate and master’s program students are eligible. Q: How do we register? 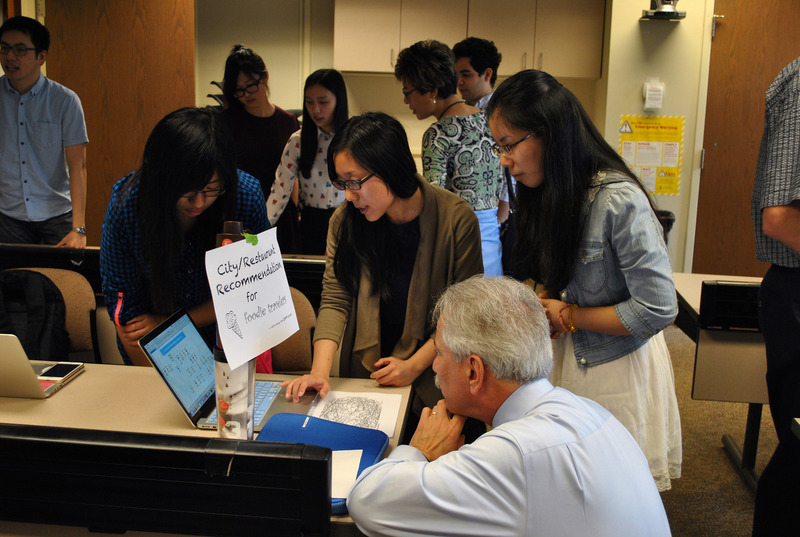 Q: Do you have information about past SILS Project Fairs? Information about past SILS Project Fairs, including award winners and photos, can be found here. Contact David Gotz with any other questions you might have about the project fair.